Updating the Wood Swingset with Behr Wood Cleaner - Oak House Design Co. It's springtime, and I can't be the only one with sad, forlorn wooden structures in their back yard. 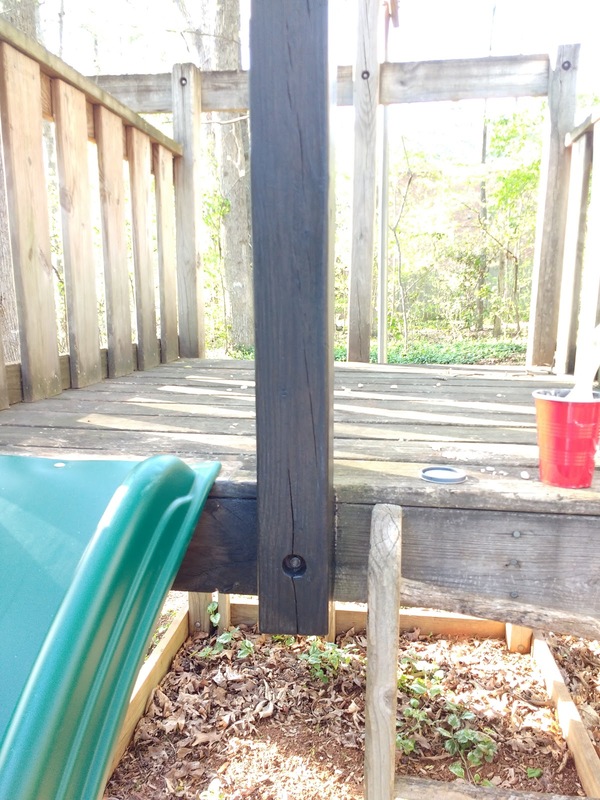 I'm talking about the grayed out decks, the mildew covered playsets, and yes, the fences that have seen better days. Guess what, there is hope! They can be revitalized! 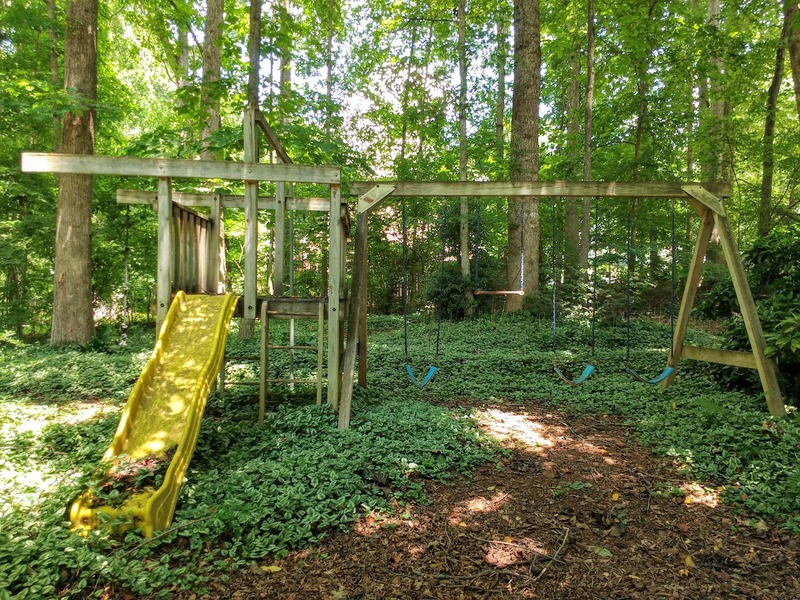 When we came to look at this house last spring, I was drawn out to the yard by this old swingset. It was nestled in the woods, and gave you a nice view back to the house from outside. We planned to update the swings, but we've only got one kid. So we got one swing up, and never got back to the project. But recently, I have been itching to complete something, so I decided to put the rest of the swings up. 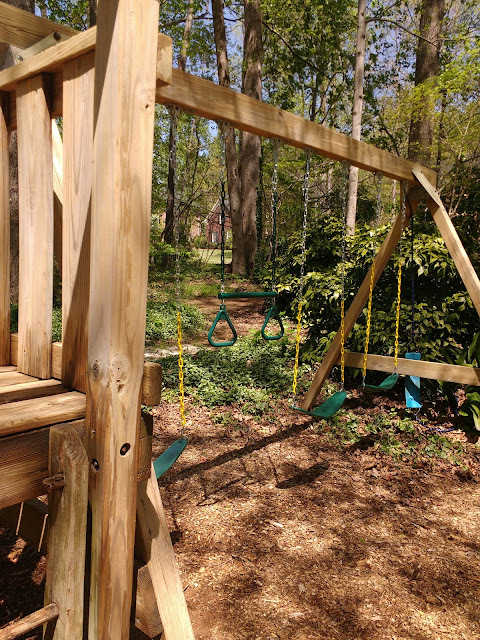 But even with the new swings, the set look dated. The wood has always looked worn, so the plan was to stain it a dark black, or greeny-black stain color to freshen it up. 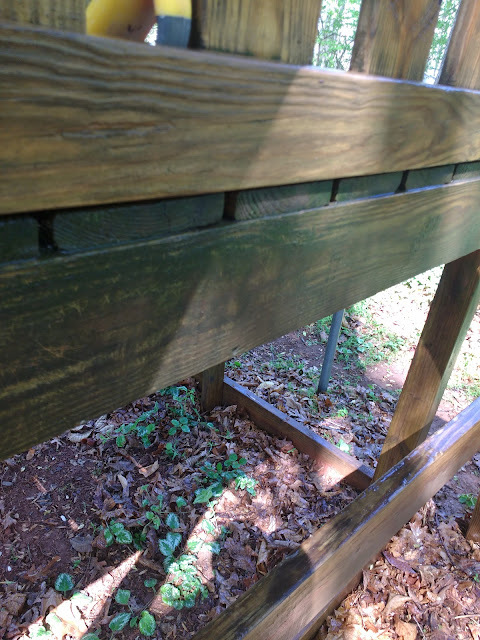 I didn't realize that the discoloration was mildew. 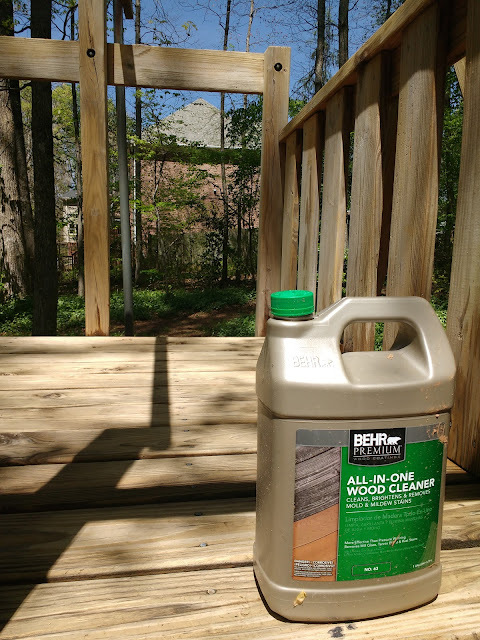 But the directions on the stain said to clean the wood first, so I reluctantly went back and did so. 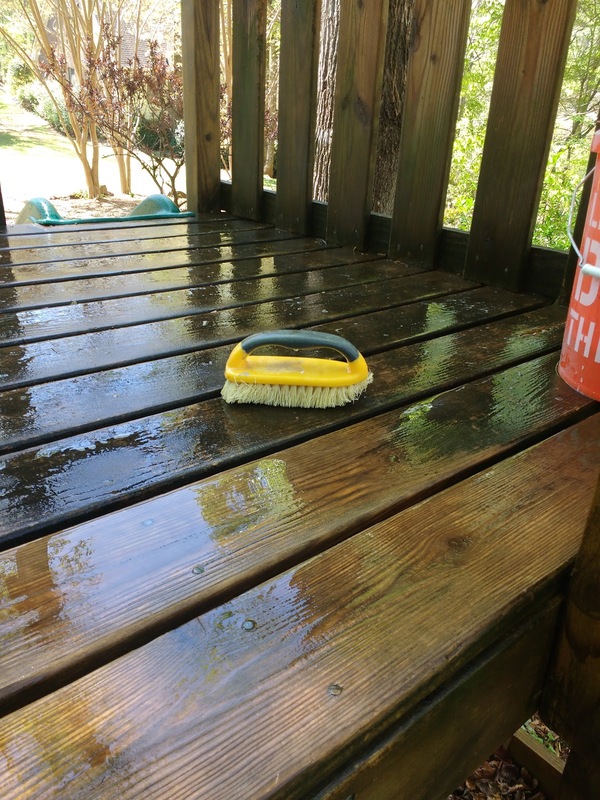 If I had known that the wood cleaner would have this much of an effect, I would not have put that sample up! 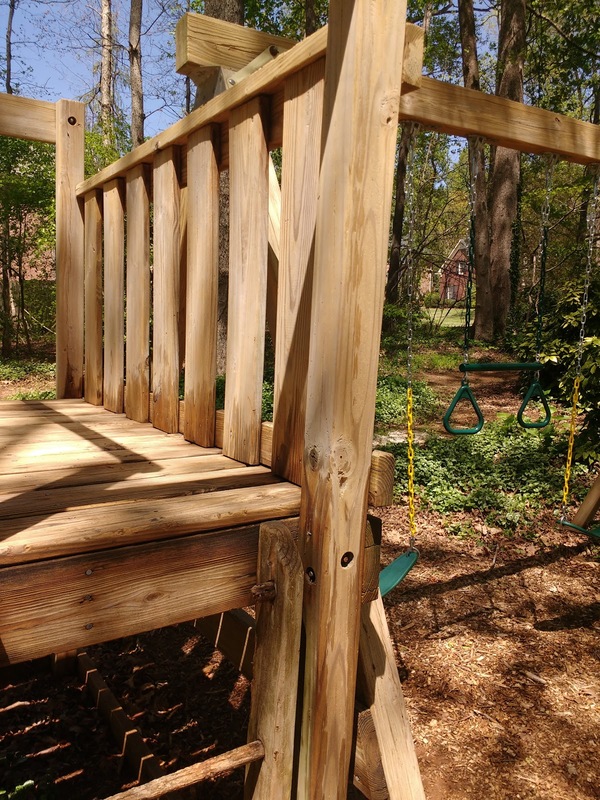 Who knew old wood could look this good? Some people know, I just didn't, but everyone needs to know this! I am so impressed with this product. 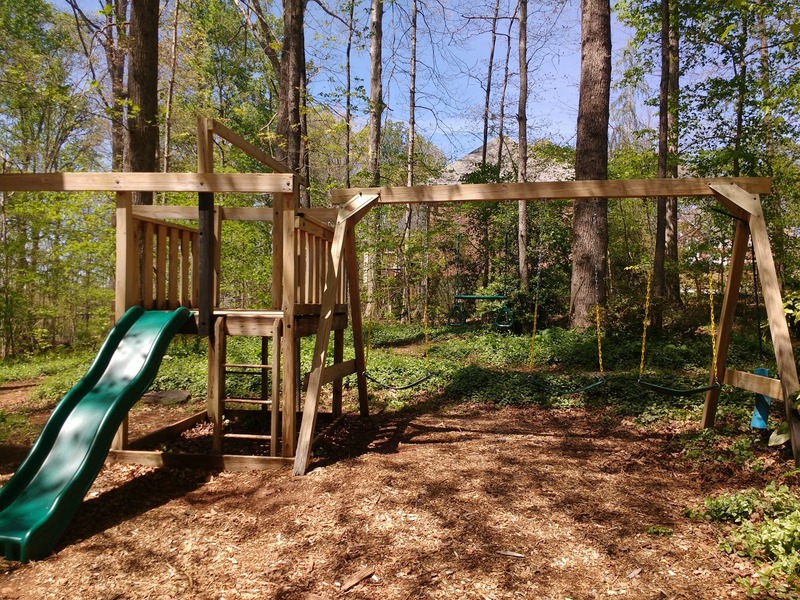 It was only $15 and took me about four hours to complete the whole swingset. 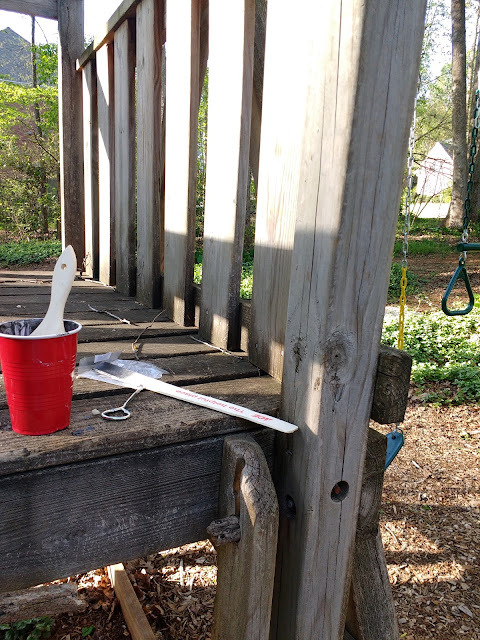 Working in sections, I wet the swingset down, applied the wood cleaner mixed according to instructions with a small 3-inch chip brush, and went back to my starting point and began scrubbing. It requires you to scrub it, but you see it working and removing the mildew. 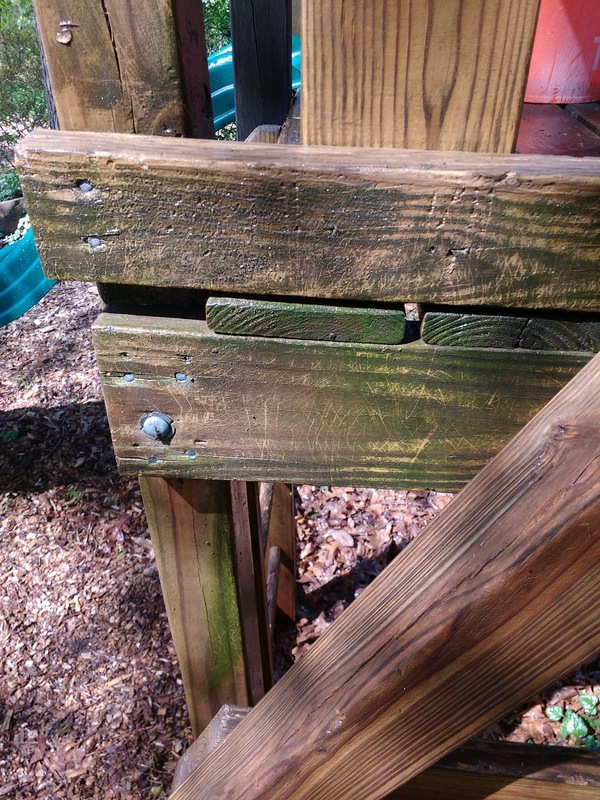 I rinsed the wood as I went along. We still need to figure out how to cut off that one last blue swing hanging on like a toddler who doesn't want to leave the playground. The stairs also need a bit of repair, and I have to remove the EXTRA-LARGE sample that I put up! But I can't wait to stain and seal this baby! 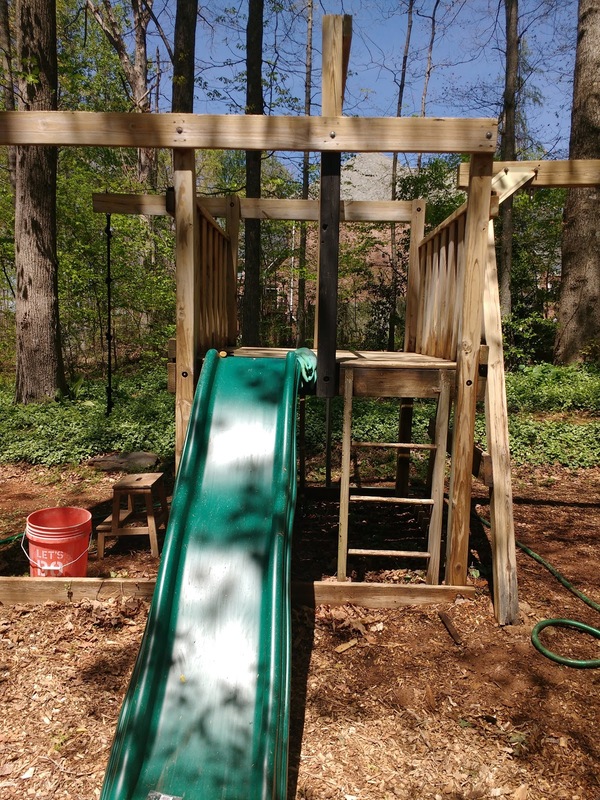 I don't know how old this swingset is, but I would say it just got a major facelift!